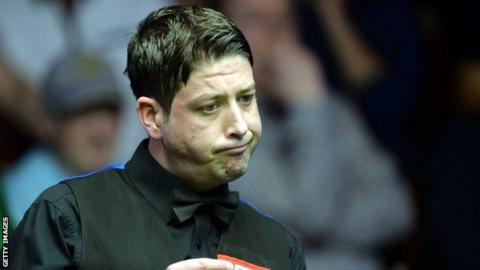 Matthew Stevens says he has "nothing to lose" against five-time world champion Ronnie O'Sullivan at the Crucible. Stevens, twice a runner-up in snooker's showpiece, thrashed fellow Welshman Mark Williams 10-2 to reach round two, which starts on Saturday night. World number 35 Stevens and Scotland's Anthony McGill are the only qualifiers still left in the tournament. "I am the big underdog and no one expects me to win," Stevens, 37, told BBC Radio Wales. "If I go home on Monday so be it. But I have nothing to lose and everything to gain. "Ronnie is an unbelievable frontrunner and we all know how good he is. "To beat Mark 10-2, no matter how bad he played, shows my game is in pretty good shape. I feel great."